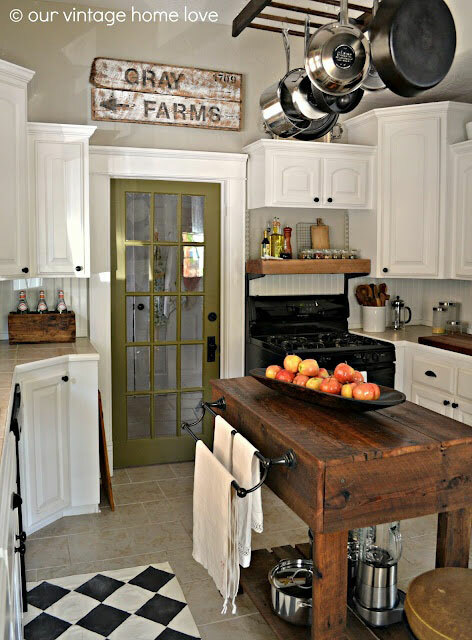 Rustic chic decorating is such a perfect blend of his and her that it is no wonder it has become so popular. 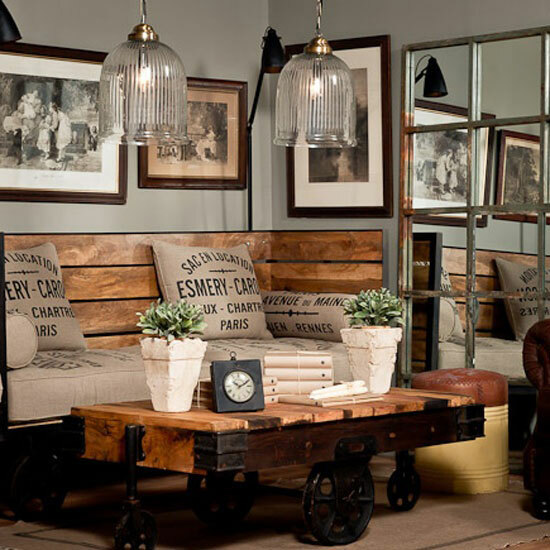 The ruggedness of distressed woods and rusty metals mixed with soft fabrics and a touch of bling is almost irresistible. Whether decorating a farmhouse or city bungalow, modern rustic decor will create the perfect balance of warm and clean. If you are either completely sold or are just beginning to embrace the idea and are looking for some inspiration, I have some great room designs and vignettes to share with you. 1. Rustic chic bedroom with grain sack bedding and blinged out pillow by Dreamy Whites. 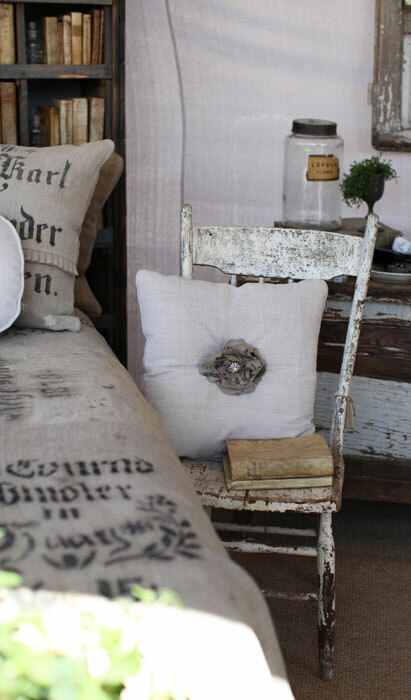 Although this is quite a rustic bedroom, the blinged out pillow adds some softness and chic. 2. 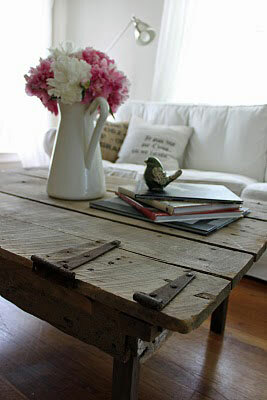 Barn door coffee table surrounded by chic by The Wannabe Cottage. 3. Rustic wood t.v. wall by Elf Sacks. 4. Industrial chic room design via Pure Home.com. 5. 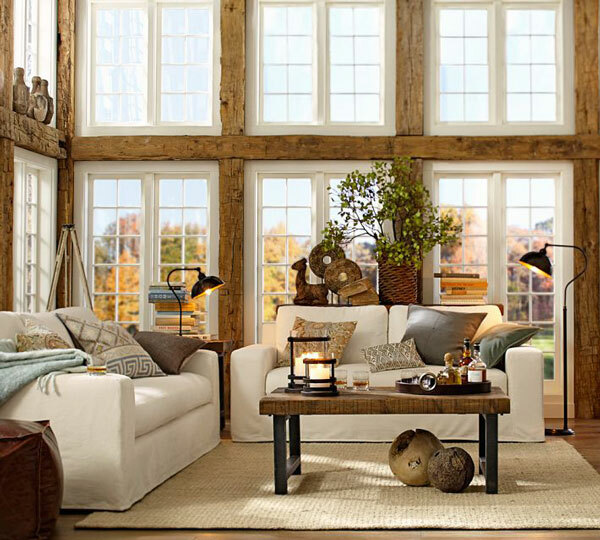 Rustic chic living room by Canadian Log Homes. As you can see, the blend of modern and rustic makes this room especially appealing. 6. 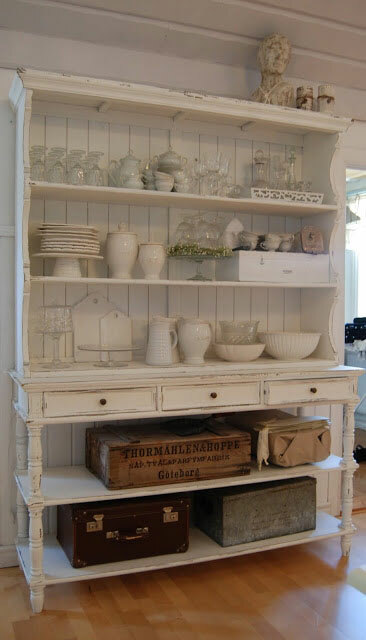 Romantic rustic chic hutch vignette by Romantiska Hern. 7. 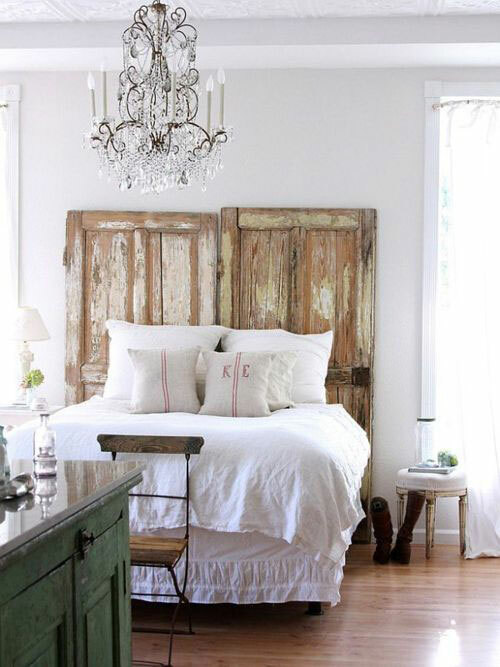 Elegant crystal chandelier marries rugged and distressed vintage door headboard by Reasons To Breathe. 8. 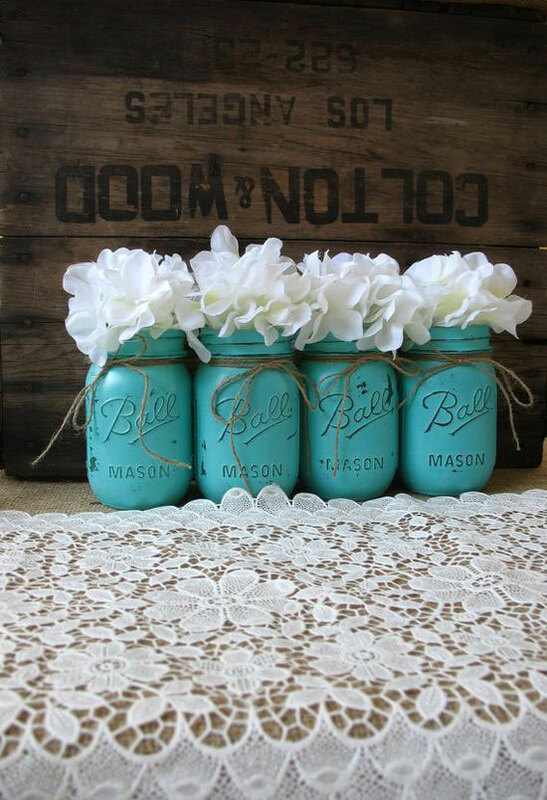 Rustic crate plus feminine and chic painted mason jar vases via Princess Dress Collections. 9. Barn door and aqua plank walls in kitchen design by Houzz. 10. 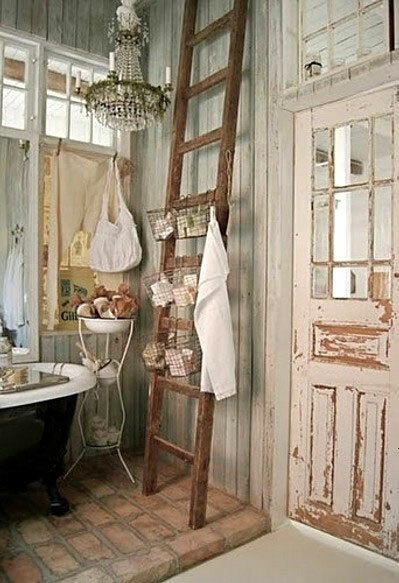 Rustic chic bathroom design by A Piece Of Mine Retail Shoppe. 11. 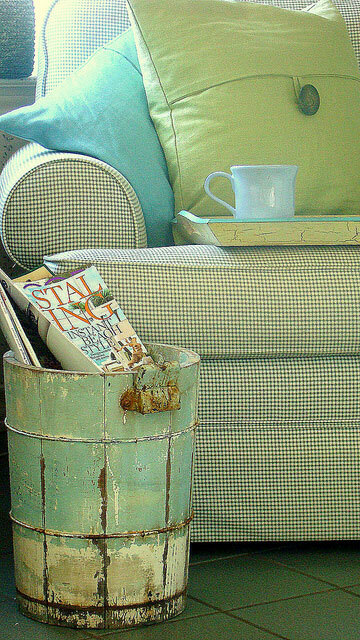 Rustic bucket in soft hues for a coastal chic by White Dreamer. 12. Natural logs mixed with chic fabric patterns and textures by 79 Ideas. 13. 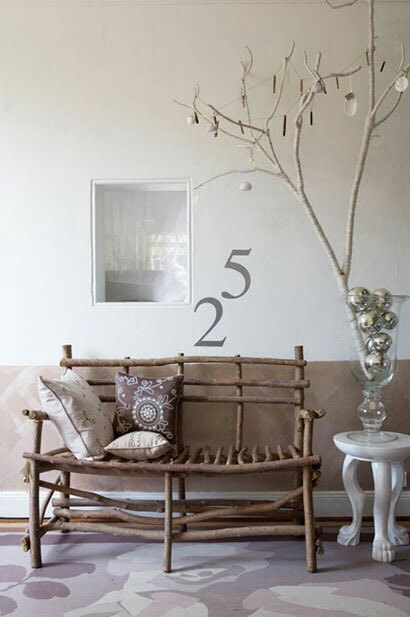 Natural twig bench plus white clawfoot side table via Eclectic Revisited. 14. Modern vintage kitchen design by Our Vintage Home Love. 15. 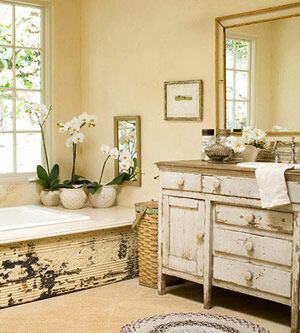 Rustic chic bathroom design by Seasons For All At Home. 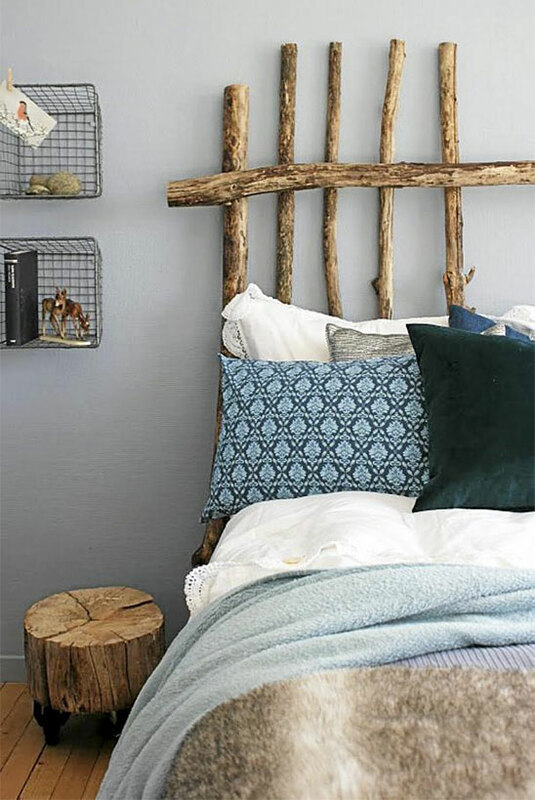 I hope you have been inspired by these ideas for decorating rustic chic! Did you have a favorite? I love ur Reasons To Breathe bedroom decor, that white duvet sets is so shabby chic – meets – French Country. I am doing a shabby chic makeover on my master bedroom and am thinking about this bed set by Laura Ashley called Sophia. 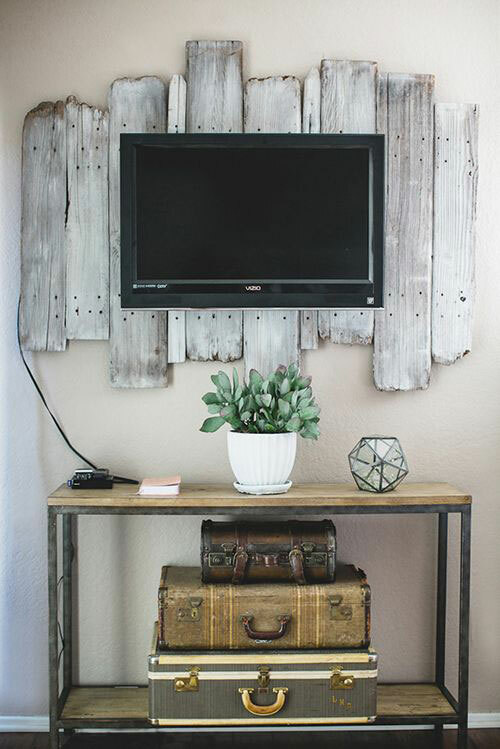 Can you help me find the website the rustic TV picture was from? Sorry didn’t get my email on the last post.